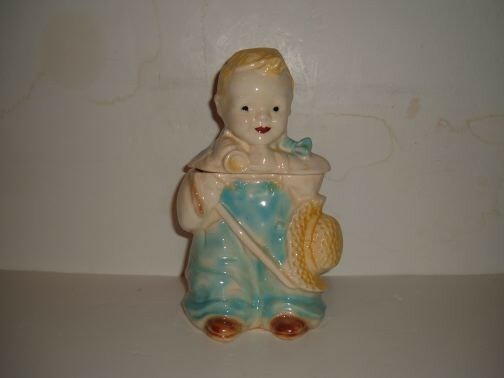 Little Boy Blue Cookie Jar by Brush. circa 1956. Marked: #K25 Brush USA. Large jar which was also made in a smaller jar. The jar is in excellent condition and is from a private collection.